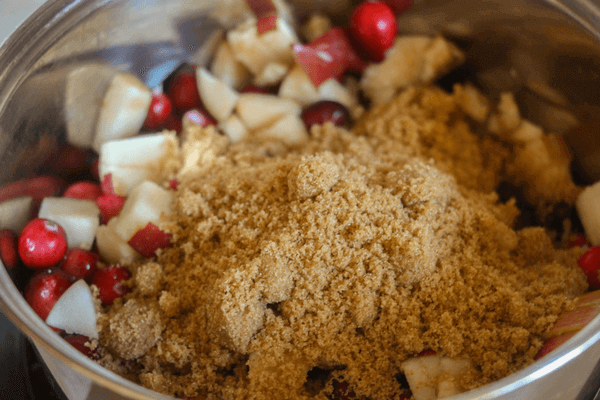 Forget the canned cranberry sauce this holiday season– this homemade Apple Cider Cranberry Sauce is super easy to make and tastes worlds better than anything in a can! Get set for your next family gathering with these 5 Mac and Cheese Side Dishes. Change up your dinner menu with 7 Sweet Potato Recipes! These simple sauteed vegetables are a staple on our holiday table. This homemade cranberry sauce can be made just before you sit down – it’s super quick and reliable – or you can prep it up to a week ahead of time. The combination of apple and cranberry is delicious and works so perfectly together. 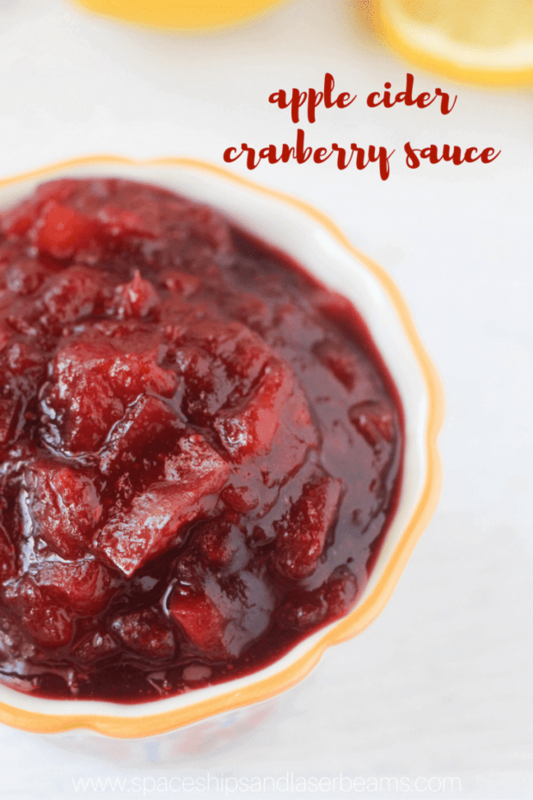 This cranberry apple sauce is so versatile – you can use it as a condiment with your savoury meal, or even as a pie or tart filling! You can experiment with this recipe – substituting grapes or blackberries for the cranberries, or pears for the apples. There are some delicious combinations that this recipe can be adapted to! Because I was planning on making our sauce into tarts as well as offering it as a condiment with our meal I did not include the apple cider vinegar in these pictures. 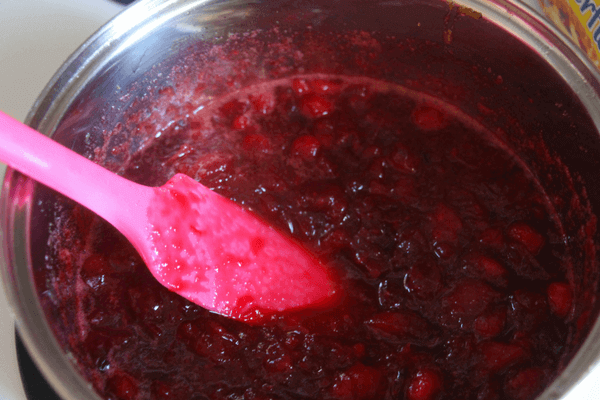 Be sure to pin this homemade cranberry sauce for your holiday celebrations! 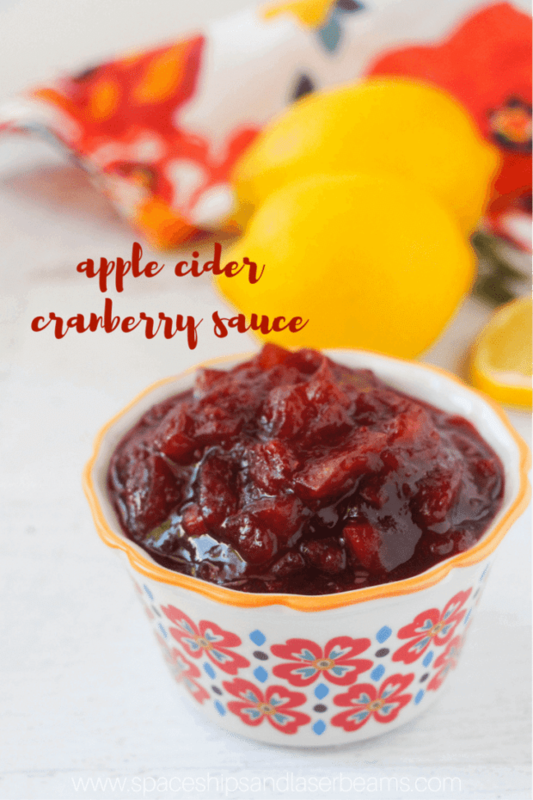 This homemade Apple Cider Cranberry Sauce is super easy to make and tastes worlds better than anything in a can! Chop your apples very finely to allow them to break down in the cooking process - they should be no bigger than the cranberries. Place all ingredients in a pot over medium heat - except the vinegar, if using. Cook for approximately 20 minutes, stirring often. It will reduce in volume and start to look uniform. 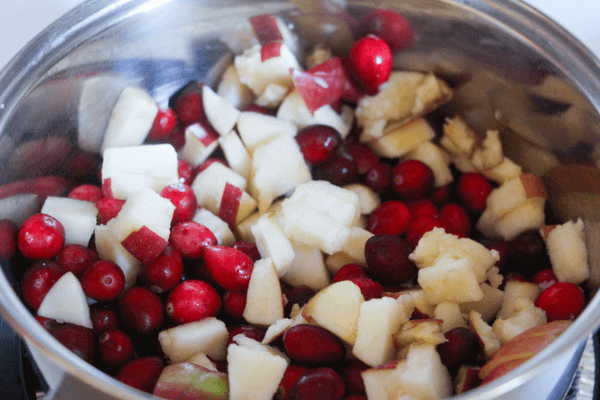 The cranberry apple sauce will start to cook down, when it starts looking like this, start squishing the cranberries and any large apple pieces with a spatula or potato masher. Watch the sauce and take it off the heat when all of the cranberries look completely cooked through. It will thicken as it cools. 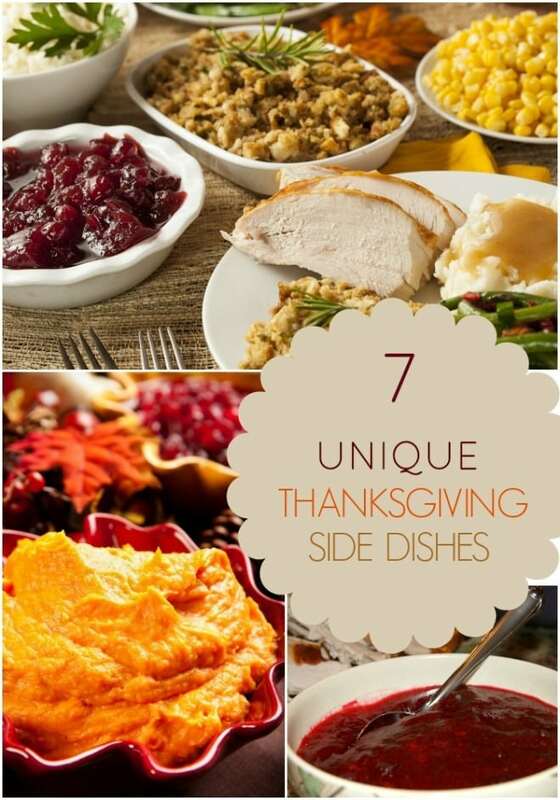 Check out more great Thanksgiving recipes perfect for your next family gathering. 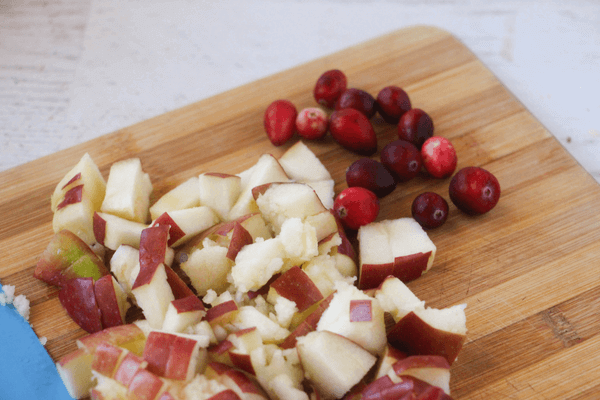 I’m obsessed with cranberries year round and this recipe doesn’t disappoint. It’s the perfect holiday side dish. YUM!